(INDIANAPOLIS) — The first-ever Magic Thread Cabaret season will be memorable as five accomplished artists bring their diverse talents to Indianapolis audiences, with its purpose of “Connecting songs to the soul.” After creating and producing the best-selling show of IndyFringe Festival 2016 and later turning Calder, The Musical into a top-selling, full-length musical, producing partners Dustin Klein and Tom Alvarez are pleased to announce the 2017-18 lineup for their newest creative endeavor. 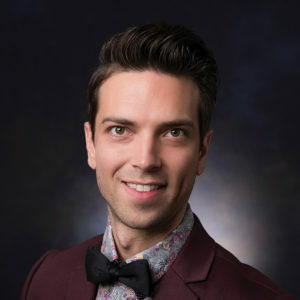 “We are thrilled to spotlight local emerging talent and provide Indy audiences with an accessible opportunity to experience the cabaret art form and expose people of all ages to the timeless music of the Great American Songbook,” said artistic director Dustin Klein. 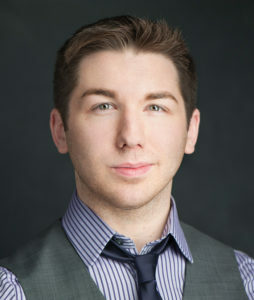 This fall, Klein & Alvarez, LLC announced Great American Songbook Youth Ambassador Lucas DeBard will kick off the Magic Thread Cabaret season in I’ll Take Romance with four shows on Thanksgiving weekend, November 24 and 25, at IndyFringe Basile Theatre in Indianapolis’ Mass Ave Arts & Theatre District. 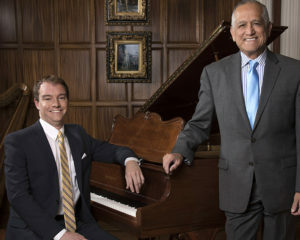 A student of vocal performance at Indiana University Bloomington’s prestigious Jacobs School of Music, DeBard has performed at The Kennedy Center, Carnegie Hall and The Palladium in Carmel, among several other appearances nationwide. The Lebanon, Indiana native has also performed with Michael Feinstein, Brian Stokes Mitchell, Ana Gasteyer, Marilyn Maye and Maddie Baillio. Keith Potts is an Indianapolis actor and musician who has performed locally with Actors Theatre of Indiana, BobDirex, Phoenix Theatre, Indy Shakes, and Beef and Boards. Other credits include Goodspeed Opera House, Merry-Go-Round Playhouse, Surflight Theatre, among other regional and touring companies. He can also be heard on the original cast recording of The Theory of Relativity from PS Classics. Potts wrote the music and lyrics for the musical V-V-Voice, with writing partner Scott Damian, that’s currently in development with Tony-nominated producer Heather Provost. He is a proud graduate of The Boston Conservatory and member of Actors’ Equity Association. 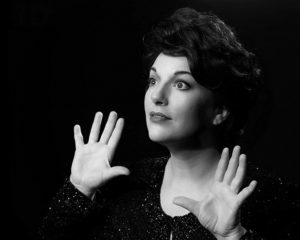 June 22 & 23: Katy Gentry is Judy Garland LIVE! Katy Gentry has made her home on professional theater stages for over 25 years. She first stepped foot in Judy Garland’s shoes when she originated the role in the Actors Theatre of Indiana premiere of Beyond the Rainbow in 2007, joining ATI’s reprisal of the show in 2017 to play 38-year-old Judy Garland in her iconic 1961 Carnegie Hall performance. Mesmerizing audiences with the look, mannerisms and voice of Judy, Gentry moved some audience members to tears and all to their feet. She was an original cast member in the world-premiere Johnny Cash musical Ring of Fire with Fireside Dinner Theater and Circa ‘21 Playhouse, performing to sold-out audiences. 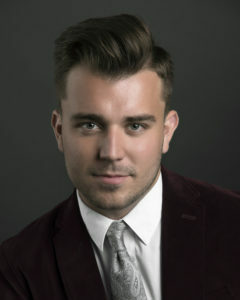 Gentry has performed with the Indianapolis Symphony Orchestra in leading and supporting vocal roles, sharing the stage with many acclaimed Broadway performers and recording artists. Other notable equity theater credits include The Odd Couple (Gwendolyn), Nunsense (Sister Amnesia), The Taffetas (Cheryl), and The Wizard of Oz (Chorus/Dorothy u/s). On request from acclaimed composer and arranger, Greg Gilpin, Katy made her debut at Carnegie Hall in 2012 in the role of “Dorothy” in the world premiere of Gilpin’s arrangement of The Wizard of Oz in the Reflections of Life concert hosted by Clay Aiken. No stranger to the stage, Melissa Schott is thrilled to bring a blend of Pop, Broadway and Folk to Magic Thread Cabaret. Take a journey through some of her favorites in an intimate musical setting. “Melissa makes you feel like she’s singing it just for you,” says Indiana Auditions. 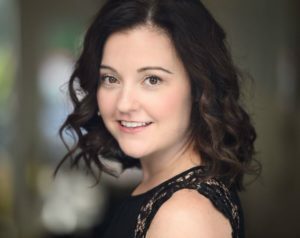 Most recently, Melissa appeared on stage in North Shore Music Theatre’s 42nd Street (Peggy Sawyer u/s, Ensemble), directed and choreographed by Kelli Barclay (Original Broadway Choreography by Randy Skinner). She was recently invited to perform as a featured soloist at the Adrienne Arsht Center’s 11th Annual Gala, A Celebration of Women in the Arts, alongside Chita Rivera, Rita Moreno, Gloria Estefan, and Vanessa Williams. Quickly thereafter, she was invited to be a featured soloist at Carnegie Hall’s Medal of Excellence Gala, honoring Adrienne Arsht, at The Plaza Hotel. Magic Thread Cabaret is a nonprofit venture that is fiscally sponsored by Fractured Atlas, the New York-based nonprofit technology company that provides business tools for artists. Its inaugural show was made possible by the generous donations of arts patrons Frank and Katrina Basile, Christina Kite, Noble Consulting, Diane Meyer Simon, Rachel Simon and others. Lucas DeBard’s I’ll Take Romance is Friday, November 24 and Saturday, November 25, 2017 with two performances each night at 7:30 p.m. and 10:00 p.m. at IndyFringe Basile Theatre, 719 E. St. Clair St. Indianapolis, IN 46202. Tickets are $15/$25/$35 and reflect seating options, with a wine and beer cash bar and light refreshments. 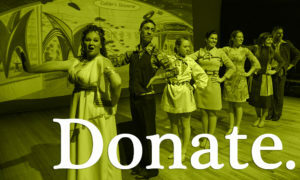 Tickets are for sale online at www.indyfringe.org and by phone at (317) 308-9800. Subscriptions for the 2018 shows in the Magic Thread Cabaret season will go on sale January 2. 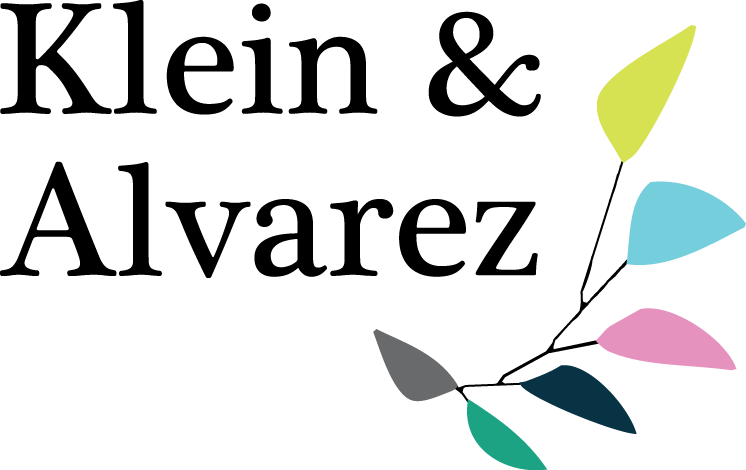 Klein & Alvarez Productions, LLC, which values a high degree of artistic excellence, seeks to provide performance, employment, and training opportunities for local artists. We believe that music, drama and dance can transform lives and enlighten society through art that is uplifting, thought-provoking and entertaining.